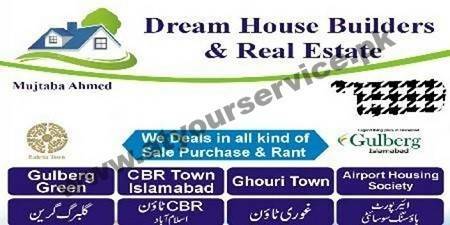 Dream House Builders & Real Estate is located in Wakeel Colony, Airport Society, Rawalpindi. We deal in sale, purchase and renting of residential and commercial property. We deal in Airport Housing Society, Gulberg Islamabad, CBR Town Islamabad, Ghauri Town, CDA All Sectors, Near New Airport etc.